Art City is always welcoming ideas for art workshops from anyone who has a cultural practice or project they would like to share with community. You can get paid for it too! 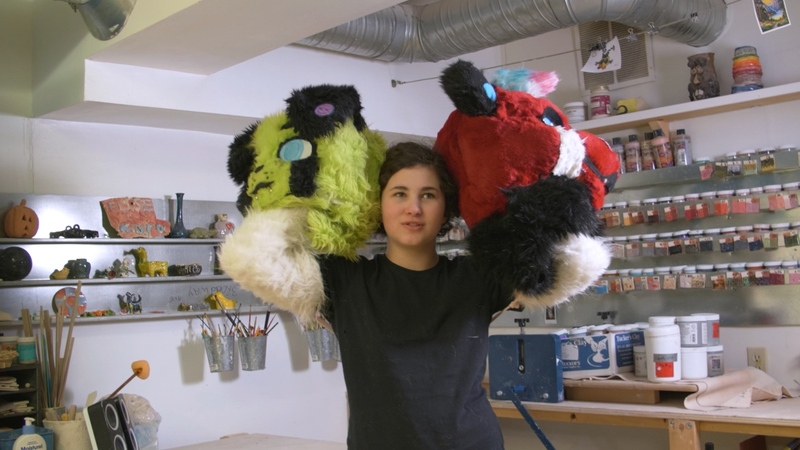 Workshops can be for 1, 2, or 3 days, maximum once per year per artist. Selected guest artists will receive a $25/hour guest artist fee. Guest artists must be able to be at Art City from 3:00 p.m. to 8:00 p.m. or similar after school hours at our Community Programs sites. Transportation from Art City to the sites and back can be arranged. “We are hiring an Indigenous Project Coordinator for a new initiative. helping realize the goals of the initiative including archiving the process and putting plans in place for long-term implementation of new processes. Sarasvàti Productions is committed to employment equity and actively encourages applications from all Indigenous candidates. Applicants are encouraged to self-identify as First Nations, Métis or Inuit. We are in the early stages of developing this 18-month project. The rate of pay and weekly hours will be negotiated to match the ideal candidate’s experience and availability. The position will be based out of the Sarasvàti Productions’ office at 242 Cathedral Avenue, but with the flexibility to work off-site. For more information on the listing, please visit: http://sarasvati.ca/hiring-project-coordinator. For more information on the company please visit: www.sarasvati.ca. To apply please forward your resume and cover letter by e-mail only to info[at]sarasvati.ca. “The smoke signal is one of the oldest forms of long-distance communication used to gather people together for celebration, to transmit news, and to signal danger. 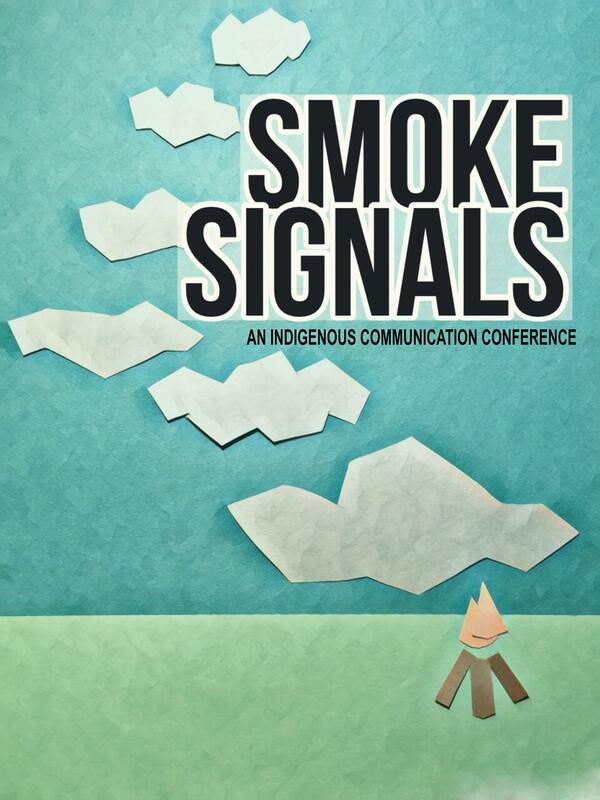 Hosted by Creative Manitoba Indigenous Programs, Smoke Signals is a gathering of community-engaged artists and arts leaders examining the importance of Indigenous voices in art and media. By reclaiming our roles as oral historians, we find our power through speaking out. Our goal is to gather around the foundation of our traditional cultural teachings, transmit our Indigenous world view through the power of art and signal the dangers of cultural appropriation. We will spend the day exploring the power of words and intentions in the art world as storytellers and as Indigenous peoples. With special guests: Elder Albert McLeod, David Garneau, Rosanna Deerchild, Lita Fontaine, Daina Warren, Sadie-Phoenix Lavoie and more to be announced! Hosted by Adeline Bird. – Artists – visual, literary, craft, performance, etc. “Sarasvàti Productions presents our third annual Women’s Comedy Night Fundraiser! 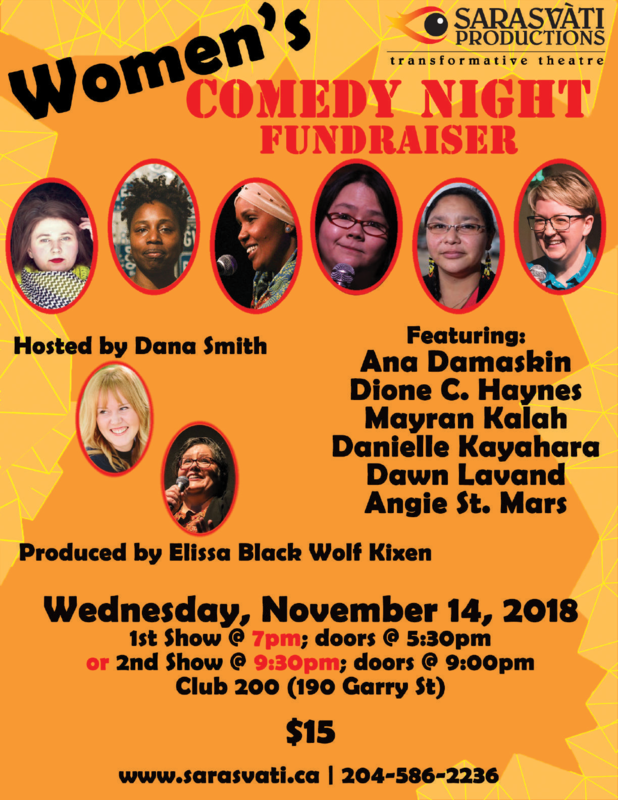 Tickets: $15 For tickets and information, visit http://sarasvati.ca/product/womens-comedy-night-2018/ or call us at (204) 586-2236. Art City is hiring Winnipeg based artists to lead collaborative art workshops at our studio in West Broadway and at our Community Programs sites in Central Park, Daniel McIntyre, Elwick, Spence, Transcona, and West Alexander. Artists can submit workshop proposals using the application form, available for download here. Please attach a CV or Resume if available. -Workshops can be for 1, 2, or 3 days, maximum once per year per artist. Experience the powerful blend of Indian dance and theatre, hear from DIY theatre-maker Norah Paton, and take in an award-winning performer speaking truth to power using spoken word, storytelling and hip-hop. 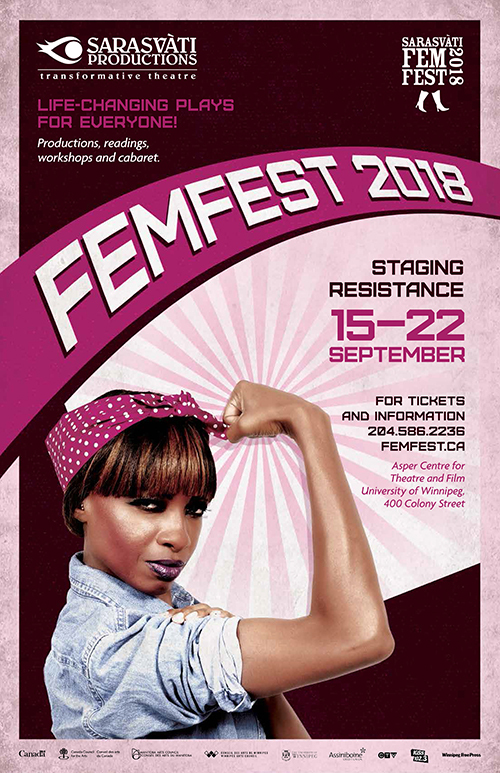 At FemFest 2018: Staging Resistance, the stories of brave and diverse performers take centre stage. Whether you see one production or the entire festival, you are sure to leave with a new understanding on what it means to embrace individuality. CBC Arts shares with us a recent article on Tyler Malissa Ritchot, a participant of Art City Inc.’s programming in Winnipeg. Here’s an excerpt from the article, as well as a video below to learn more about Tyler, the costumes and Art City! It’s great that these special stories about the work going on in community-engaged arts centers are publicized! Read the full CBC Arts article here.